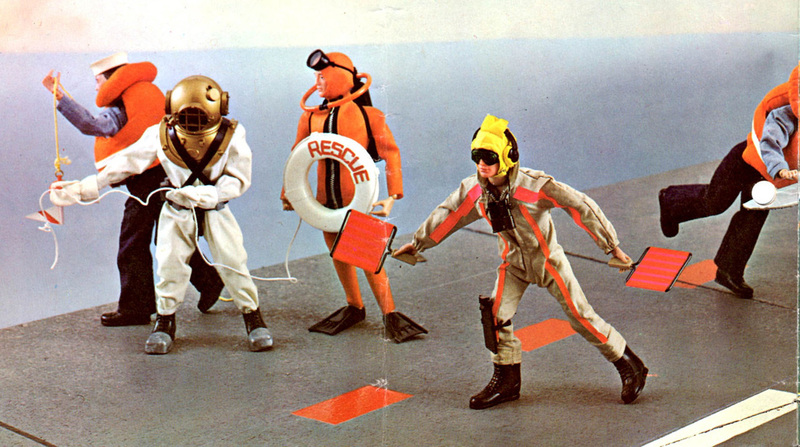 It's our goal to accurately catalog all the vintage 12" GI joe sets produced by Hasbro from 1964-76. The use of 3D spins will allow Joe fans to get a good look at all sides of sets, and create an interactive environment for viewers. Initially there are a lot of picky details about tags, color varieties, or differences in molding that won't be on the pages. The beauty of the web format though, is that I can continue to edit and add to the pages as necessary. If there is something missing (or a mistake), please feel free to contact me. All uncredited images you will find on this site come from my personal collection, though I'm hoping that fellow collectors who might have variations or packaged items that I don't, will be willing to share them here, with full credit to them, of course. Look for pages that request a picture, and if you have the box in question, contact me if you would like to share it.